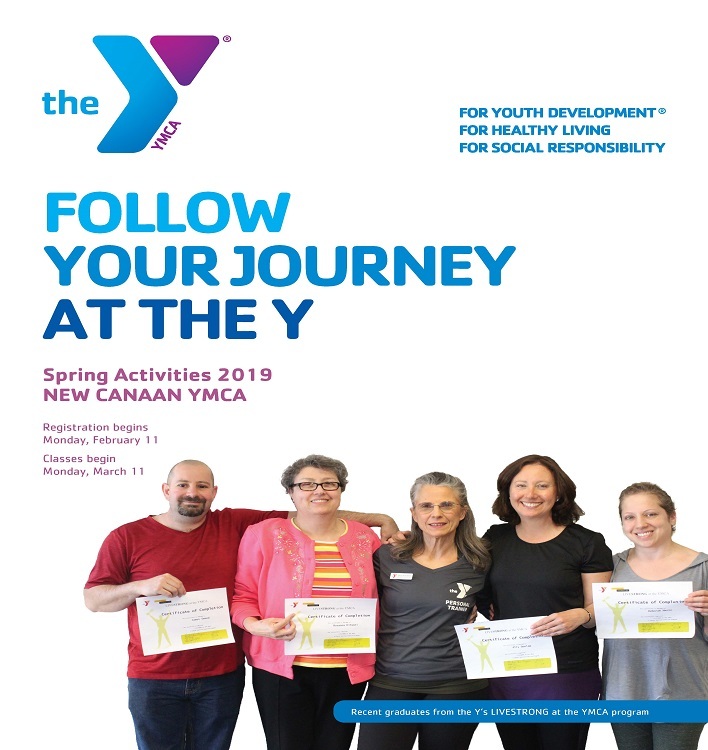 Registration for spring programs at the New Canaan YMCA will be available Monday, February 11. The 12-week session will begin on Monday, March 11. Summer camp registration is also now available. The four sessions run for two weeks each, from June 24 – August 16. Registration for spring programs and summer camp will be available through the Y’s secure online portal at www.newcanaanymca.org as well as at the Y’s Front Desk. Youth programs for the spring include an array of sports, music, and recreational programs for those in preschool through high school. Bouncing Bears will continue to hold programs for children starting at the age of 12 months. Multiple preschool music classes will be offered in the spring; including both child-only and child/guardian classes. Rhythmic gymnastics will also continue to be available. Sports for preschool athletes include basketball, lacrosse, soccer, and a backyard sports program focused on fun with the opportunity to try many different sports like kick ball, soccer, t-ball and more! Additional school-age sports programs include golf, girls’ volleyball, tennis, archery, fencing, and Brazilian Jiu Jitsu. Youth ages 13 to 17 can also join our peer buddies for unified sports program as a volunteer. Through this program, teens will have the opportunity to build relationships and play sports with our kids with special needs. The transformational Girls on the Run program will also be returning to the Y this spring. This program is open to girls grades 3-5, and teaches life skills through dynamic, conversation-based lessons and running games. The programs culminate with the girls being physically and emotionally prepared to complete a celebratory 5k running event. Youth recreation programs offered this spring include Youth at the Y, where youth, grades 1-4, have their chance to take over the Y. This spring, Youth at the Y will take place on April 6 and May 11. Middle School Night also returns on April 13 and May 18. The Red Cross Babysitting Certification course will continue to be available to individuals ages 11-15, and prepares them to be confident, fun, and creative caregivers. A new and exciting program offered this spring is a Middle School Art Class, where Penn State Art Teacher graduate, Claire, will bring her passion for art to the Y! Other programs that will continue to run include Adventure Club, and Cooking Community. Youth wellness programs available this spring include Youth Strength Training for ages 12-14, and athletic performance training powered by Parisi Speed School. Upon completion of the Youth Strength Training Class, which is free for those with a family membership, participants will earn their F.I.T. pass, granting them access to the Wellness Center. A range of aquatics programs will be offered in the spring session, including swim lessons for ages 6 months and older, the Caimans swim team, Aquianas synchronized swimming, and Whirlwind diving. Pre-Caimans is available to youth ages 6-10 who wish to learn competitive strokes in preparation for joining the Caimans swim team. Adult wellness services include Personal Training and the Pilates Apparatus, as well as a range of drop-in group exercise classes. These classes include Yoga, Strength Training, Cycling, Pilates, Zumba, TRX Zone and many more. Many of these classes are offered in an expanded and renovated group exercise center! The Y also offers a range of adult water activities including swim lessons, Aquamates, and an Arthritis Exercise class. The Y will continue to offer specialized wellness programs, including a new session of LIVESTRONG at the YMCA. LIVESTRONG at the YMCA is a 12-week program is offered at no cost to any cancer survivor in the community. The program includes two weekly group classes per week, taught by trained LIVESTRONG at the YMCA instructors, as well as full access to the Y for the 12 weeks. As a part of the Y’s goal to provide services to everyone in the community, regardless of need or ability, the Y’s Special Needs Department offers specialized programs including aquatics, music, dance, theater, yoga, social activities with peers, and team sports. In addition to specialized programs, the Y also strives to make accommodations so those with special needs may participate in other Y programs, providing additional support as needed based on each individual’s needs. For additional information about Special Needs programs at the Y, contact Carolynn Kaufman at 203-966-4528, ext. 156. The Y strives to provide services to everyone in the community regardless of need. Through the New Canaan YMCA’s Annual Support Campaign, financial assistance is available. For additional information about financial assistance, contact Diana Riolo at 203-966-4528, ext. 185.